It is very easy to adjust. Thumbwheels allow positioning of the red dot horizontally and vertically for precise telescope alignment. An adjustable small red LED dot is projected onto a non-magnifying viewing window so you can aim the main telescope quickly and easily. 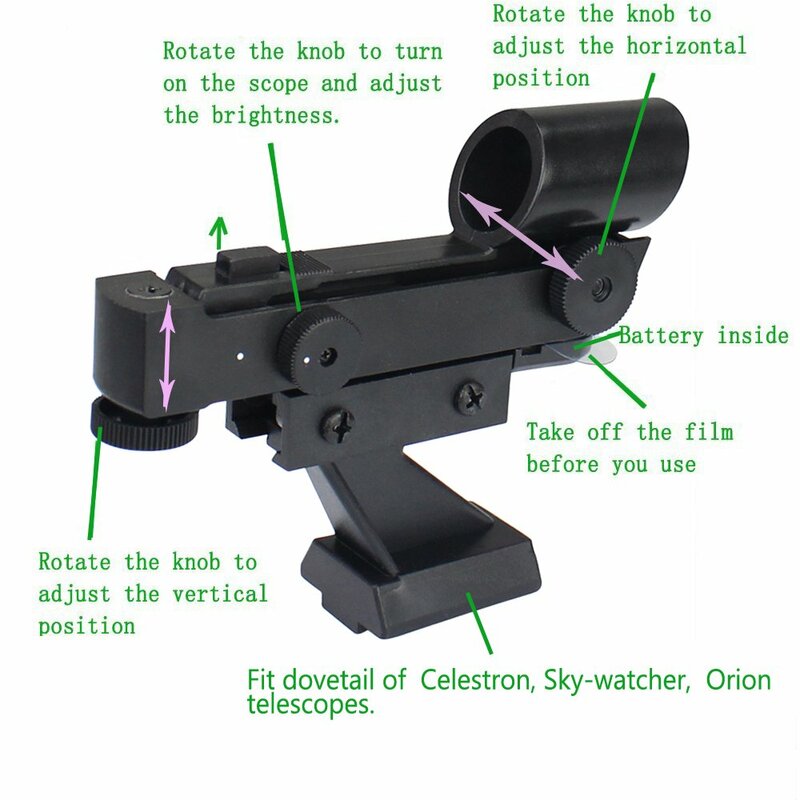 Includes bracket fit any 6 in or bigger Telescope optical tubes except Schmidt-Cassegrain telescope optical tubes. The main part is made of plastic material. But this product works well. You turn it on and a little red laser light shows up in the glass, then with both eyes you are able to adjust your telescope so that your target star (or object in general) gets behind your red laser and that's it! It is definitely easier than looking through the traditional Finderscopes with one eye and trying to match the star to a black dot that might not even be visible. The brightness of the laser pointer is adjustable so for fainter stars you can still use it. Runs on a 3-volt lithium battery (included).